Prize-winning author, Diane Chandler, and her publisher, Stephanie Zia of Blackbird Digital Books, are continuing their series of creative writing workshops for beginners. How do you create great characters? How do you begin to plot a page-turner? How can you use your senses to bring your writing to life? 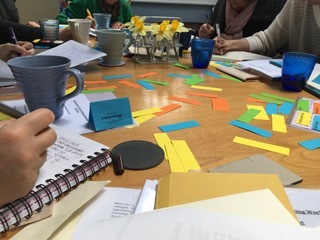 Come along and unleash your imagination during an exhilarating evening of simple and fun creative writing exercises in a safe and supportive setting. Maximum 8 people. Join in or just listen – no pressure to share. Tea, coffee and homemade cake are included in the price. The workshop is also available on 18th May in Teddington.